The devastation of a small or private aircraft accident is no less traumatic than a larger commercial air carrier accident. Aviation accidents require an extraordinary depth of knowledge, and general aviation accidents are no exception. The government regulations are complicated and the agencies that oversee aviation safety are thick with bureaucracy that anyone can find overwhelming. To ensure that you are receiving the best legal representation possible, it is necessary to consult with an attorney who possesses in-depth knowledge of not just personal injury law but aviation law across the country as well. At Babbitt & Johnson P.A., in West Palm Beach, Florida, our attorneys have decades of experience at trial and one of our partners, Theodore Babbitt, has more than 4,500 hours of flight time as a licensed commercial pilot and flight instructor. We understand that passengers of aircraft are not always the only victims in aviation accidents. Property owners may sustain significant property damages and/or injuries as well. 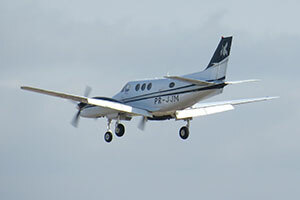 We also represent property owners in aviation accidents. Defective parts, improper maintenance, negligent operation or negligence by other parties on the ground or in the air could result in catastrophic accidents, injuries and property damage. Our independent investigation into the circumstances of aircraft accidents are performed in collaboration with experts in the field, and we leave no stone unturned. Our extensive resources allow us to thoroughly investigate, prepare and strategize in our clients’ best interests. Injury and loss in an aviation accident can be particularly traumatic. We are respectful of your wishes and serve you and your family with compassion. It is our duty to keep you fully informed throughout your case and prove your case for maximum compensation based on operator error, mechanical failure or environmental impacts. We will hold the responsible, negligent party accountable. If you have been injured or if a loved one has been injured or died in an aviation accident, contact the Florida private aircraft accident lawyers at Babbitt & Johnson P.A. for a free case evaluation. You can reach us at 561-684-2500 or toll free at 888-666-0523.